This October, Marvel Comics will get into the Halloween spirit and pay tribute to the great Jack Kirby with a series of Kirby Monster Variant covers, and ComicBook.com is exclusively revealing four of them. In the gallery below you’ll see cover by artists Paul Pope, Chris Bachalo, Francesco Francavilla, and Tony Moore, featuring fearsome Kirby creations Nezarr the Calculator, Thorr, Hypno-Creature, and Zetora. 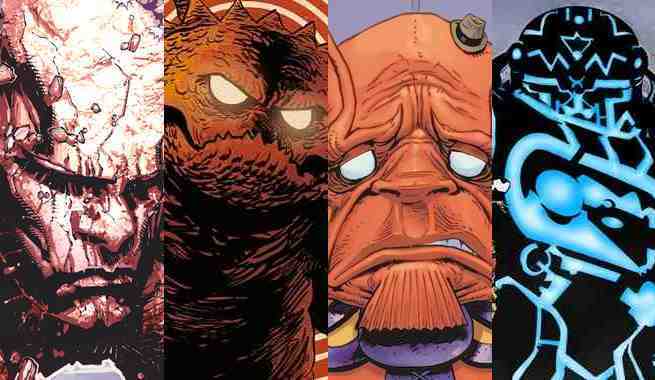 Check out all four variant cover in the gallery below, and keep an eye out for the entire line of Kirby Monster Variant cover in October.